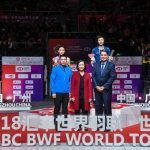 The inaugural HSBC partnership with the Badminton World Federation (BWF) World Tour Finals 2018 has encapsulated a successful year in promoting badminton as anaccessible sport Greater China, Asia and beyond. Through the partnership, the bank has created a host of unique experiences for the athletes, clients, colleagues, fans and the local communities especially in areas where the bank has presence in. Some of these experiences included the bank’s employees in empowering young people to stay active through badminton, and highlighting inspiring, untold stories from local communities on how badminton has changed their lives (please refer to the following links below for story visuals). 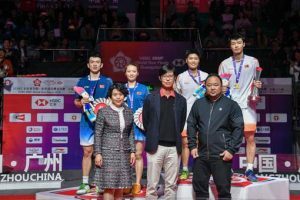 This year’s World Tour Finals, which drew to a close today at the Tianhe Gymnasium in Guangzhou, China, has allowed the bank to promote badminton in Asia and beyond. It comprises of 26 tournaments in 20 markets including Australia, China, Hong Kong, India, Indonesia, Malaysia, Singapore, Switzerland, the UK and the US and the World Tour Finals. HSBC’s badminton sponsorship includes the HSBC BWF World Tour for the next four years that features five levels, with million-dollar prize money in each of the top four events. At the pinnacle is the signature HSBC BWF World Tour Finals with a shared jackpot of US$1.5 million. HSBC is the Premier Sponsor for the BWF Major Events (World Championships, Sudirman Cup and Thomas & Uber Cup Finals). With an aim to share the spirit of badminton and making the sport accessible and inclusive to all people. HSBC is also the Global Development Partner of the BWF, the bank is hoping to give young badminton enthusiasts the chance to reach their full potential and help the community thrive through the sport. Badminton is the latest addition to the bank’s sporting sponsorship portfolio, which includes rugby, golf, tennis and cycling.